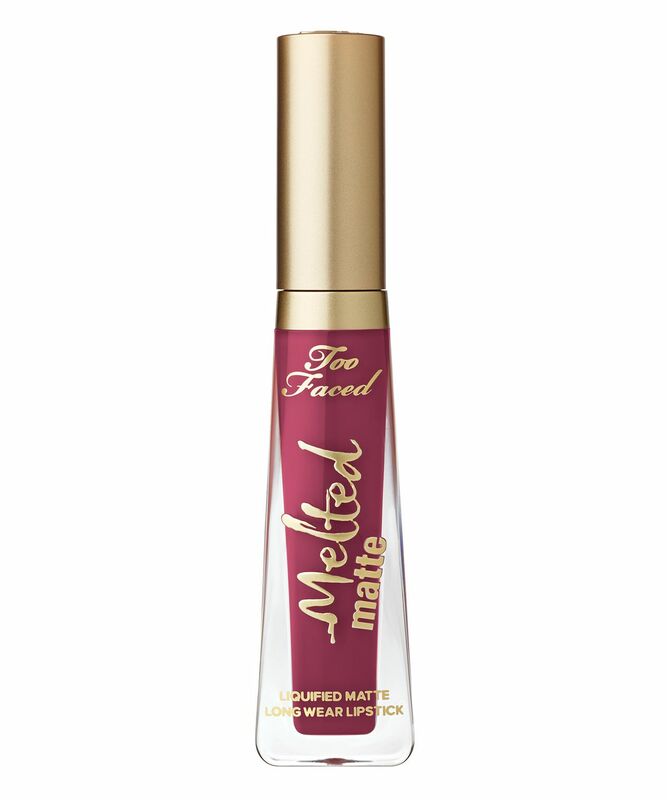 With the staying power of an intense stain and the vivid, vibrant colour of a liquid lipstick, Melted Matte achieves the impossible: it is both lightweight and long-wearing. Infused with ‘Volulip’ for a no-sting plumping effect, smoothing hyaluronic filling spheres and nourishing avocado oil, this protects lips as it veils them in kiss-resistant colour. Available in 16 bold, eye-catching shades, there’s something to suit everyone… pucker up! An innovative ultra-matte liquid lipstick, this foolproof formula offers the staying power of a stain, matched by the intense colour of a lipstick. Delivered on an angled applicator for perfectly precise application, the velvety formula is as lightweight as it is long-wearing, veiling lips in comfortable, cushioned and ultra-pigmented colour. With 16 bold, eye-catching shades to choose from, there’s a Melted Matte for wild make up whims as well as classic looks: from vampy berry ‘Drop Dead Red’ and perfect pink-beige ‘Cool Girl’ to bold sapphire blue ‘Who’s Zoomin Who’ and a pop of purple from ‘Unicorn’. As well as vibrant colour, Melted Matte stars Volulip for a no-sting plumping and smoothing effect, enhanced with hyaluronic filling spheres to moisturise lips and make them appear fuller. On top of this, avocado oil nourishes and conditions, while antioxidant vitamin E protects lips so that you can pucker up in peace. What’s more, along with the entire Too Faced range, you can rest assured that this is cruelty-free. The colour is so bold and pigmented after just one application and it lasts for absolutely ages without having to keep topping it up throughout the day. I would highly recommend.